The kinetics of several poplar (Populus alba L.) wood properties during thermal modification conducted in conventional oven with air recirculation were analysed and modelled in this paper. A wide range of properties was assessed, such as: equilibrium moisture content, sorption diagram, shrinkage coefficients, specific shrinkage coefficients, mass loss, modulus of elasticity, strength and colour. The tests were executed at different temperatures ranging from 90 °C to 180 °C and with different durations. The time-temperature equivalency was checked and property modifications over time analysed through master curves in order to obtain a general model connecting together properties, treatment temperature and duration. Different activation energies arising from each property evolution with treatment temperature and duration are provided showing that every modification could occur with different kinetics. On the use of the Arrhenius equation to describe cellulose and wood pyrolysis. Thermochimica Acta 91: 343-349. Equivalent time temperature model for physical aging and temperature effects on polymer creep and relaxation. Journal of Engineering Materials and Technology 126: 413. Thermal degradation of wood components: a review of the literature. United States Forest Products Laboratory, Madison, WI, USA, pp. 26. Effect of high temperature on the change in color, dimensional stability and mechanical properties of Spruce wood. Holzforschung 57: 539-546. Analysis of water adsorption by wood using the Guggenheim-Anderson-de Boer equation. European Journal of Wood and Wood Products 70: 445-451. The questionable use of the Arrhenius equation to describe cellulose and wood pyrolysis. Thermochimica Acta 54: 377-379. On the kinetics of cellulose degradation: looking beyond the pseudo zero order rate equation. Cellulose 15: 193-203. Utilization of temperature kinetics as a method to predict treatment intensity and corresponding treated wood quality: durability and mechanical properties of thermally modified wood. Maderas Ciencia y Tecnologia 17: 253-262. Control of wood thermal treatment and its effects on decay resistance: a review. Annals of Forest Science 73: 571-583. Effect of heat treatment intensity on some conferred properties of different European softwood and hardwood species. Wood Science and Technology 47: 663-673. Evidence and modelling of physical aging in green wood. Rheologica Acta 48: 333-342. On the time-temperature equivalency in green wood: characterisation of viscoelastic properties in longitudinal direction. Holzforschung 63: 327-333. A partitioning strategy for the coupled hygromechanical analysis with application to wood structures of cultural heritage. International Journal for Numerical Methods Engineering 88: 228-256. Kinetics and mechanisms of the low-temperature degradation of cellulose. Cellulose 1: 26-56. Study of dimensional stability and EMC of poplar wood (Populus alba) treated at different heat-temperature and initial moisture content. In. Proceedings of the Cost Action FP0904 Meeting “Thermo-Hydro-Mechanical Wood Behaviour and Processing”. Nancy (France) 26-28 Mar 2012. Université de Lorraine, Nancy, France, pp. 50-51. Effects of heating humidity on the physical properties of hydrothermally treated spruce wood. Wood Science and Technology 50: 1161-1179. Wood modification by heat treatment: a review. BioResources 4: 370-404. Wood - chemistry, ultrastructure, reactions. Journal of Polymer Science Part C: Polymer Letters 23 (11): 601-602. Viscoelastic behaviour of aged and non-aged spruce wood in the radial direction. Wood Material Science and Engineering 7: 1-12. Natural and artificial ageing of spruce wood as observed by FTIR-ATR and UVRR spectroscopy. Holzforschung 66: 163-170. Time-temperature-dose rate superposition: a methodology for extrapolating accelerated radiation aging data to low dose rate conditions. Polymer Degradation and Stability 24: 137-168. Poplar wood heat treatment: effect of air ventilation rate and initial moisture content on reaction kinetics, physical and mechanical properties. Wood Science and Technology 48: 1303-1316. New alternatives for wood preservation based on thermal and chemical modification of wood a review. Annals of Forest Science 73: 559-570. A kinetic study on the thermal decomposition of six hardwood species. European Journal of Wood and Wood Products 44: 357-360. Wood modification. In: “Chemical, thermal and other processes”. Wiley and Sons Ltd., Chichester, UK, pp. 260. The water vapour sorption properties of thermally modified and densified wood. Journal of Material Science 47: 3191-3197. Physical aging of polymers. Progress in Polymer Science 20: 703-760. Strenght and colour response of solid wood to heat treatment. PhD Thesis, Luleå University of Technology, Sweden, pp. 85. Durability of heat-treated wood. European Journal of Wood and Wood Products 60: 1-6. A glossary of terms used in chemical kinetics, including reaction dynamics. Pure and Applied Chemistry 68: 149-192. Aging of wood: analysis of color changes during natural aging and heat treatment. Holzforschung 65: 361-368. Effect of hygrothermal treatment on wood properties: color changes and kinetic analysis using four softwood and seven hardwood species. Wood Science and Technology 50: 1145-1160. Historical wood - structure and properties. Journal of Cultural Heritage 13: S5-S9. 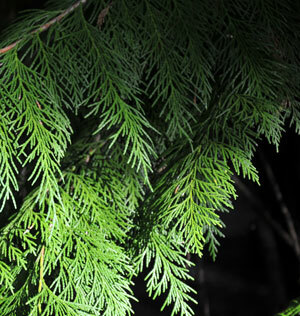 Effects of high temperature kiln drying on the practical performances of Japanese cedar wood (Cryptomeria japonica). II: Changes in mechanical properties due to heating. Journal of Wood Science 52: 111-114. Wood thermodegradation: experimental analysis and modeling of mass loss kinetics. Maderas Ciencia y Tecnologia 16: 133-148. Evaluation of heat treated wood swelling by differential scanning calorimetry in relation with chemical composition. Holzforschung 59: 28-34. Thermo-hydro and thermo-hydro-mechanical wood processing: an opportunity for future environmentally friendly wood products. Wood Material Science and Engineering 8: 64-88. Thermal deterioration of wood. Wood Technology: Chemical Aspects 43: 57-81. Thermal degradation of wood cellulose. Industrial and Engineering Chemistry 48 (3): 413-417. On McCrum’s sequential aging theory. Polymer 38: 5243-5246. Experimental measurement: interpreting extrapolation and prediction by accelerated aging. Restaurator 11: 254-266. Characterisation of thermally modified wood: molecular reasons for wood performance improvement. European Journal of Wood and Wood Products 56: 149. Modeling strength loss in wood by chemical composition. Part I: An individual component model for southern pine. Wood and Fiber Science 33: 239-254. Humidity control in the laboratory using salt solutions. Journal of Applied Chemistry 17: 241-245.